The hardest thing about leaving the Bay Area was leaving my friends. 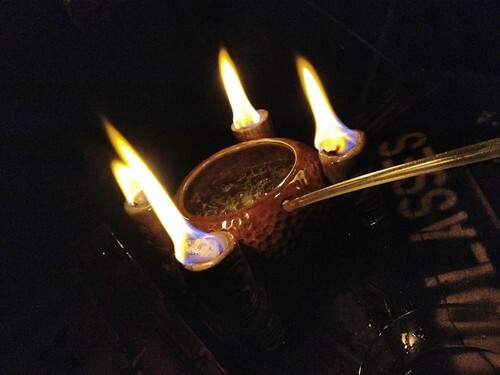 Nights like this one at Smuggler’s Cove, sharing a delicious flaming drink, are elemental to my happiness and impossible to replicate over the intertubes. I haven’t been able to see everyone I wanted to this visit, but that just means I’ll have to come back. Darren suggested that M and I come out next year when you are back which is a capital idea eh wot?